Just me and my pile of recipes. and 6 big baskets of laundry…. would you like to help me fold them? You have your own big pile of laundry to fold? Dang it. Well…at least we can think of each other while we fold. Boy, oh boy do I have a tasty treat for you today. Cinnamon Rolls with Maple Frosting, to be precise. There is already a Cinnamon Roll recipe on this site. but makes a large batch of 24 giant rolls. leave in or tuck around the corner. And so today I have a smaller batch of Cinnamon Rolls ready and waiting for you with a few tweaks, changes and tasty additions. 1. Heat the milk in the microwave for 1 minute. Carefully place the butter into the hot milk. Let it sit for a minute or two, or until the butter starts to melt. 2. Into your stand mixer place 2 C flour, salt, sugar and eggs. Let it mix for just a few seconds. Just long enough for the egg to get a bit covered up. Pour in the hot water. 4. Add the yeast, mix until combined. 7. 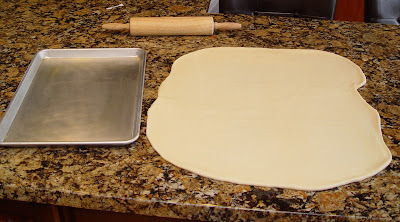 Roll out the dough into a large rectangle about 1/4 inch thick. 8. Spread butter over the top of the dough. Sprinkle the dough with brown sugar. Then just spread the sugar out over the dough with your hand. Don’t worry about getting too messy. I’m pretty sure you have a kitchen sink, yes? 9. Sprinkle the cinnamon over the sugar. Use your hand to spread it out evenly. 10. Roll the dough up from short side to short side. 11. Spray a sharp knife with cooking spray and cut the roll in half. Cut each half in two…giving you four equal quarters. Cut each quarter into three pieces. giving you a total of 12 rolls. 12. Spray a large cookie sheet with cooking spray. Set each roll onto the sheet. 13. Place your rolls into a warm 170 degree oven. Close the door and let them rise until doubled in size. Should take about 30 minutes, depending upon the warmth of your oven. 14. Turn your oven up to 350 degrees. LEAVE THE ROLLS IN THE OVEN. They will continue to rise as the temperature rises. 15. Bake the rolls until golden brown, about 15 minutes once your oven has reached 350, and depending upon how long it takes to heat up. 16. 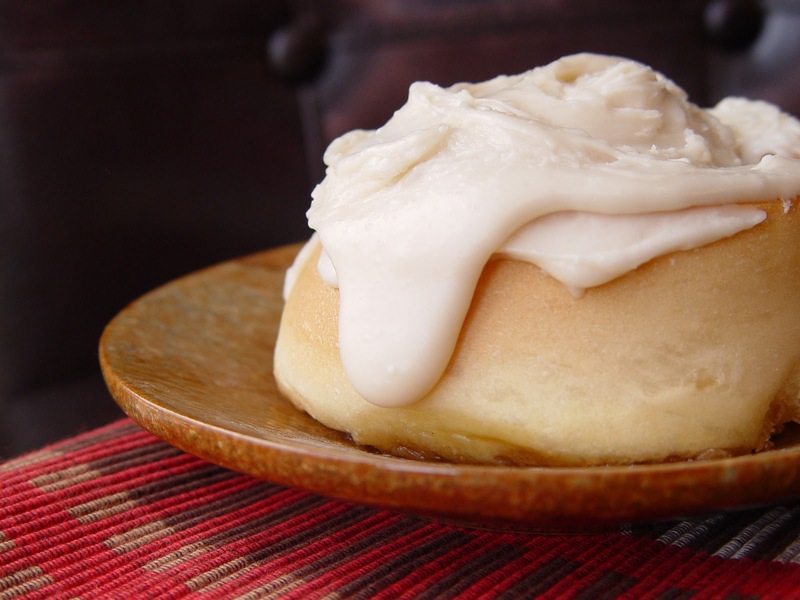 While your rolls are baking, make the maple frosting! Place your softened butter in your stand mixer. Beat for about 1 minute, or until smooth. Add the powdered sugar, maple syrup, vanilla and dash of salt. Mix for 10 seconds. Keep your mixer running and begin to add the milk, just a little at a time. When you have the desired consistency beat the frosting for about 1 minute. 17. When the cinnamon rolls have cooled just a bit, spread the frosting over the tops. So delicious – what patience! and that frosting looks to die for! Honestly my mouth is watering right now!! Those look amazing! 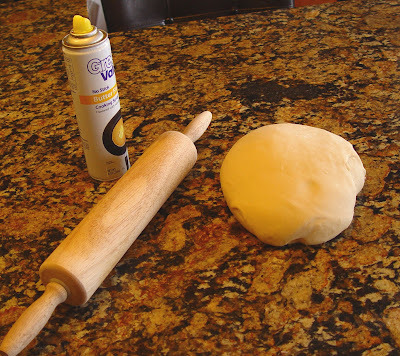 What a great idea to not melt the butter you spread on the dough…it always makes such a big mess! Will try these soon. We love maple frosting on our cinnamon rolls too! These look so yummy! Do you keep the oven on at 170 degrees or just get it that hot and then turn it off? I'm excited to try these, never made cinnamon rolls before. My family and I have loved the recipes we have made from your blog–one of my favorite sites. thanks for all your great recipes. So nice to see a recipe that doesn't make a zillon rolls! That alone will get me to try these.These look wonderful. The new look of your site is amazing! The photos are fabulous. Hello there, I make these all the time. Your recipe for sweet rolls is too large for me and my husband, so I just halve it. Sometimes I use 2 eggs and sometimes 1. We both agree that these are the best cinnamon rolls ever. Thanks for all your delicious recipes. And your pictures make me want to try everything on your blog! These look so yummy. The pictures throughout your blog are great. Love you blog. 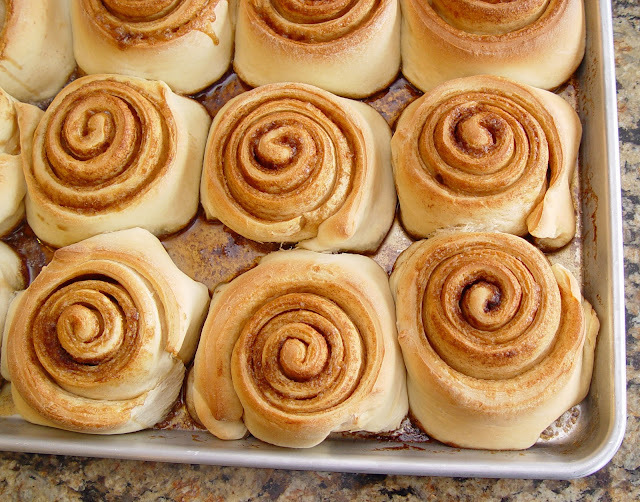 I just made these cinnamon rolls tonight…DELICIOUS, as usual. I was able to get 15 and they are still big. Thanks again for another wonderful recipe!! I finally had the chance to try your recipe, with almond milk and Earths Balance soy free butter (my 2y.o. Is allergic to milk and soy), and I have to say, they are awesome! As a happy bonus, your maple frosting ALSO worked with the E.B. soy free butter, so I now have a frosting recipe that actually looks, acts and tastes like frosting for my baby’s birthday cake this year! Thank you for sharing this recipe!! Hello again i dont know if you remember im Ana from Portugal yo goodur rolls look so good i wanted to ask can the frosting be made without the maple flavour? Thanks so much and keep up the great receipes! Is it possible to make these the day before and bake them the next morning? It sounds like a good Christmas idea. I wonder how long they would do well in the fridge? I would suggest baking them the day before (don’t frost them) and then popping them in the oven to for about 10 minutes to reheat in the morning. Add the maple frosting and you will be set to go. Good luck! The cinnamon rolls looks so great! Thank you for sharing the recipe!